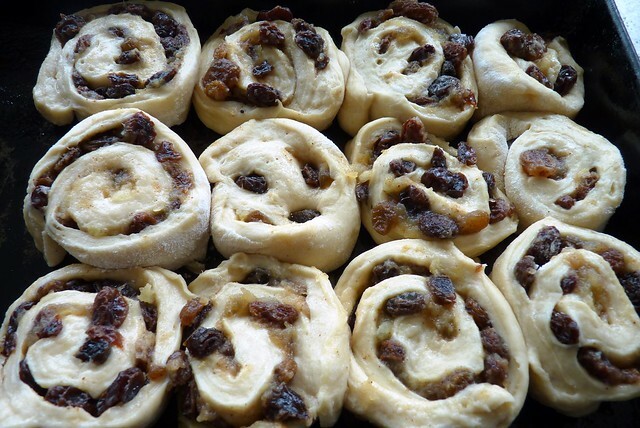 There was a time when I used to make Chelsea buns on a regular basis, I loved the soft bread and the sweet buttery currants inside, I would top them off with a glace icing. I thought it was time to give them a revival and try and make them more heart healthy. 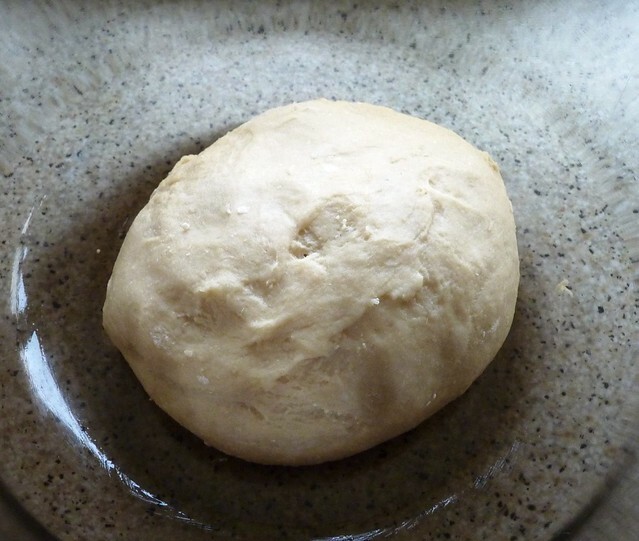 I got the basic recipe from a cookbook, but here’s Paul Hollywood’s recipe if you want to try them. 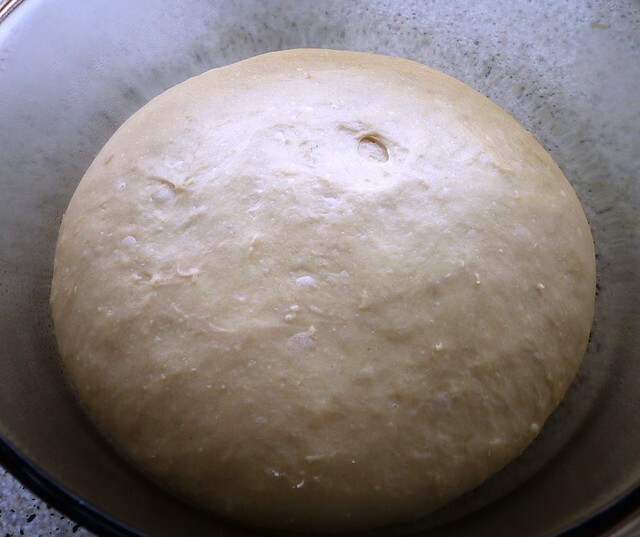 So here’s my dough before and after proving. I’ve made a lot of heart healthy cakes where the butter is substituted with stewed apples so that’s what I did, and I omitted the sugar from the filling, but I did add cinnamon. 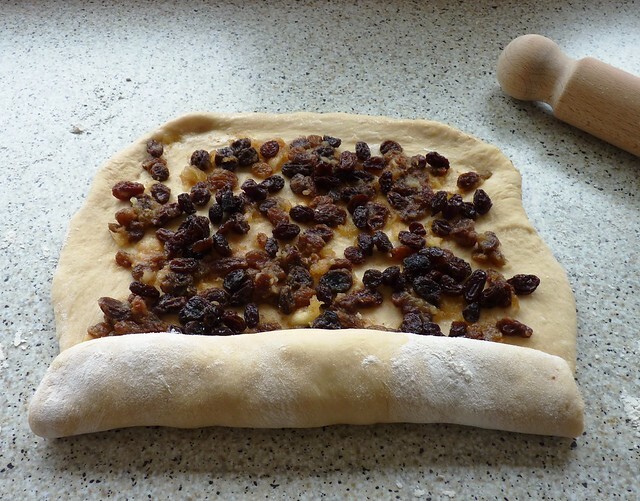 Once the filling is spread on the rolled out dough you roll it up like a swiss roll. Then slice into catherine wheels and then leave to prove. This is how mine came out of the oven, they won’t win any prizes. I glazed them with a brush of runny honey. 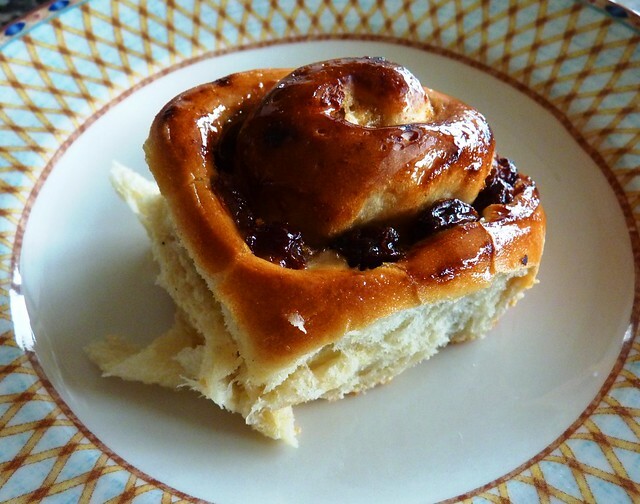 The perfect tea time treat. 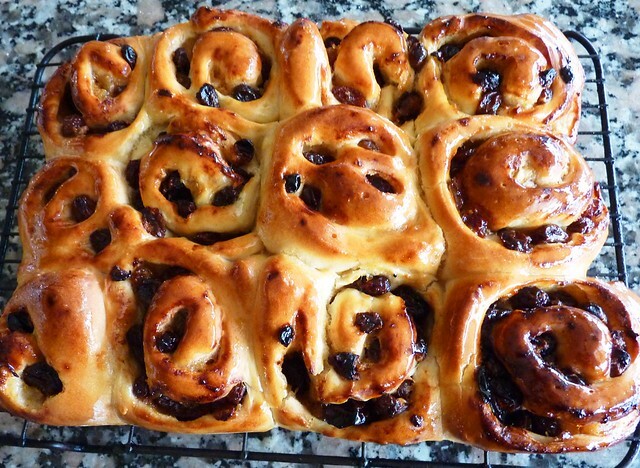 This entry was posted in kiln fired art and tagged baking, bread, chelsea buns, healthy heart, low fat, low sugar. Bookmark the permalink. I don’t have a problem sharing with Sue!! LOL, I’ll get you some bunk beds!